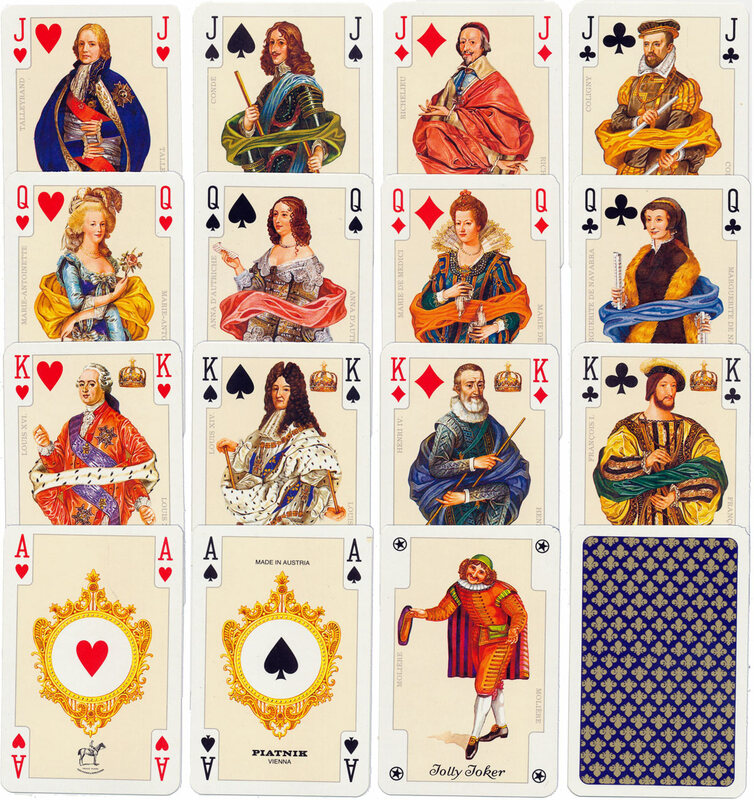 Piatnik’s elegant and refined “France Royale” Bridge playing cards depict named historical characters from France’s royal past, including Luis 14th, Richelieu, Marie de Medici, Talleyrand, Marie-Antoinette, Anna D’Autriche, François I, Marguerite de Navarra, Louis XIV, Henry IV, Louis XVI and others. The four decorative aces and joker reinforce the historical style. 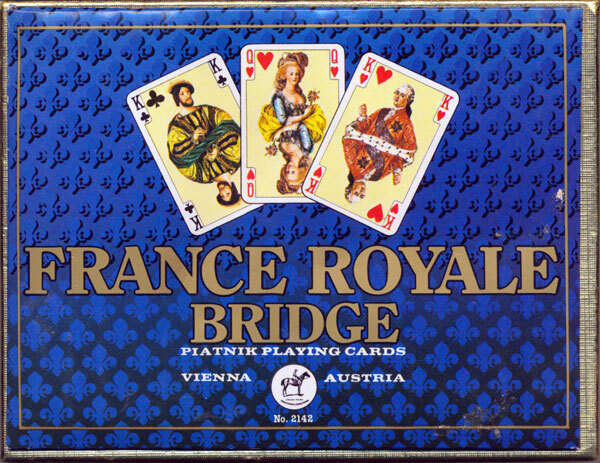 Above: “France Royale” Bridge playing cards, Piatnik 1975. 52 cards + 3 Jokers in luxury box. Fleurs de Lis on the backs. 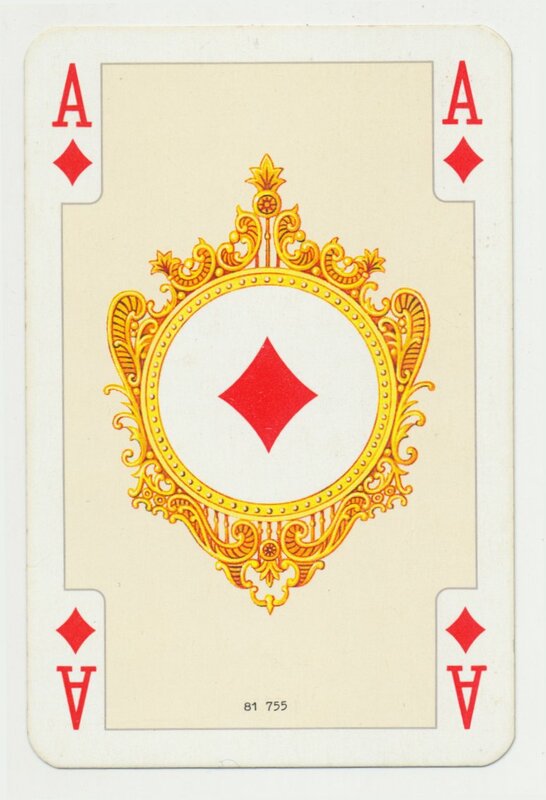 Normally, the code numbers are under the company legend on the ace of hearts, but in these France Royale packs its on the ace of diamonds. Images courtesy Matt Probert.